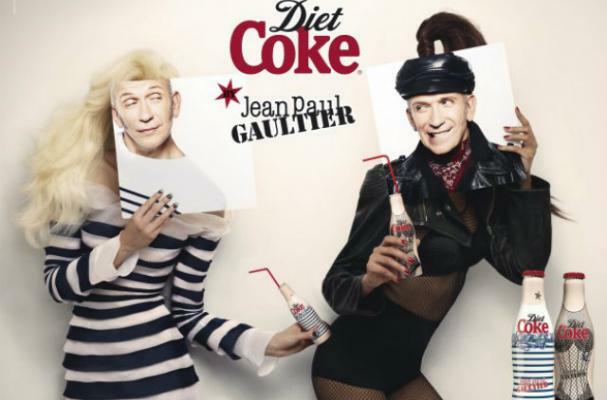 Jean Paul Gaultier recently signed a deal with Diet Coke to bring a bit of high-fashion to their cans and bottles. Gaultier and Diet Coke have just released limited edition bottles that are covered in Breton stripes and Madonna-inspired corsets. The accompanying print ad features two models decked out in outfits that resemble the new Diet Coke bottles. Unfortunately, the Gaultier designed bottles are only available in Europe.